We are here to help you to choose ski boots from the wide range of models offered by many manufacturers. 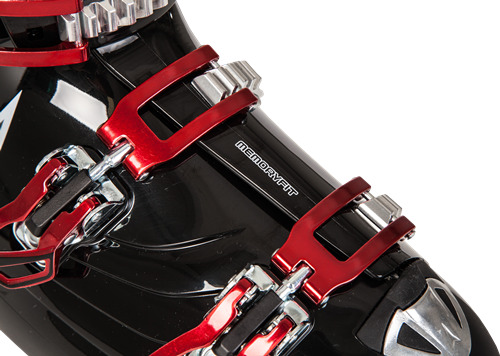 The majority of ski boots feature four buckles; two being on the instep, and two on the shank part of the boot. Technologies and used materials differ with each producer and model group. Consider your skiing ability, physical parameters, your personal style and your favourite terrain. Ski boots are essential for high-quality skiing experience, so it is highly recommended to choose carefully and not rush the purchase. Most manufacturers categorize downhill skis depending on the standard use. When choosing, focus also on the shoe's stiffness (flexindex). All Mountain boots - Beginners and occasional downhillers usually require warm and comfortable ski boots, that is why all mountain boots are ideal for them. Soft inner lining ensures all-day protection from pressure marks and special materials increase thermal comfort inside the boot. Even beginners can easily shift their weight during skiing thanks to the softer frame of the boot. However, it is important to pay attention to sufficient firmness of the frame according to your weight. High Performance boots - Frequently universal sports models with harder frame. They offer high-level comfort to advanced recreational skiers, however they are suitable for more aggresive hard-to-please downhillers who are looking for the best as well. 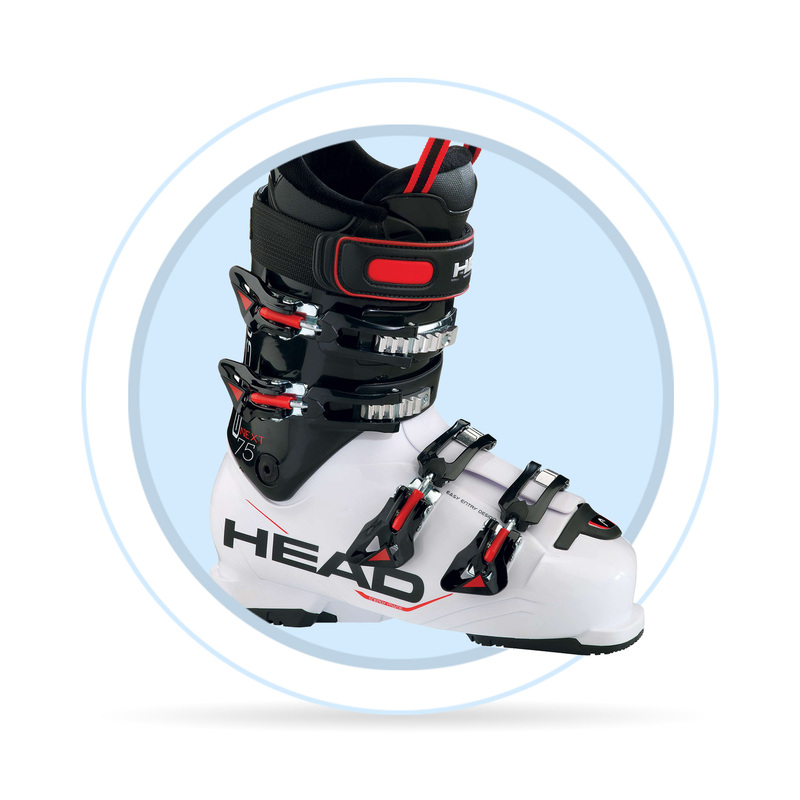 Race downhill boots - Firm boots for the most demanding skiers with racing ambitions. Thanks to the hard frame, it is easier to transfer the energy to the skis. Thin inner boot enables a better contact with the ski, but on the other hand it usually provides less heat insulation. Flexindex is an approximate indicator measuring the boot stiffness, in other words how difficult is to bend the boot forward. 100-120 is suitable for ambitious sporting skiers. Flex Index can be very helpful in choosing the best ski boots for you, however, it is still an approximate laboratory figure which shows the flexibility of the boot when the temperature is standardized. Other aspects, like tightening of the buckles, placing of the foot, mobility of the ankle and the boot´s lean in the binding, also influence your comfort. Always keep in mind that the material from which the frame is made of, reacts with the surrounding weather conditions. 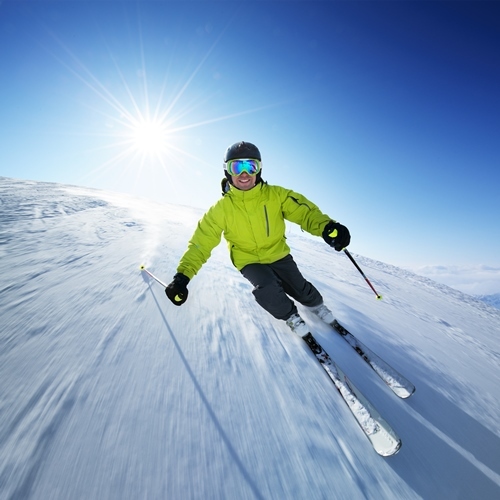 The usual temperature on slopes varies from -20 to 10°C, that is why majority of ski boots manufacturers offer adjustable flexion in their models. This step is crucial when choosing your ski boots. 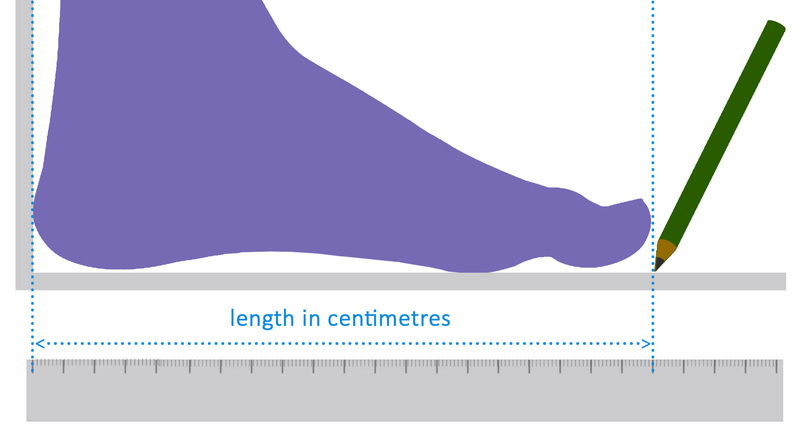 The sizes of ski boots are stated on mondo point scale, which works with the length of the foot in milimeters or centimeters. It is recommended to measure your foot very precisely, the spare place in your ski boot should be no more than 0,5 cm. You should also keep in mind that the inner shoe is able to adapt to the shape of your foot after some few first rides. Use a shoe box or a right angle wall. Find a piece of paper, a ruler and a pen. Make sure your are wearing your usual skiing socks. Step onto the piece of paper and make sure your outer side of the foot touches the wall or step into the box and press your heel to the back side of the box. Use the pen and the ruler to draw a line right in front of your longest finger. Measure the distance from the wall or side of the box and the line. Add a reserve of no more than 0,5 cm. It is also important to consider the width of the frame. In most cases, you can find this parameter in the product's description.